We were intrigued to learn, in May of last year, that the next official James Bond novelist would be American (and Chicago’s own!) 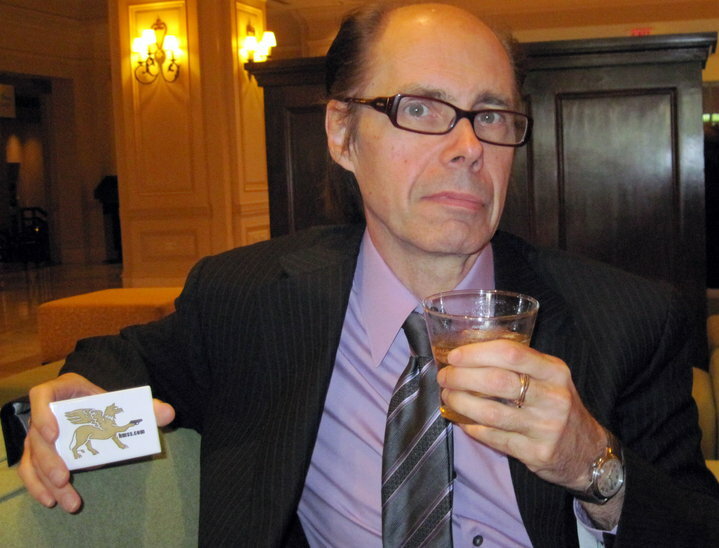 crime writer Jeffery Deaver. Best known for his Lincoln Rhyme detective series (its first entry, The Bone Collector , was filmed in 1999 with Denzel Washington as the quadriplegic detective), and his Ian Fleming Steel Dagger Award-winning World War II thriller Garden of Beasts, he may have been viewed as a surprise choice for the assignment. But the author of these brainy mysteries also has a personal fondness for scuba diving, skiing, fast cars, and guns, as well as having started his career as a journalist. Sound like anybody we know? “The novel [now titled Carte Blanche – ed.] will maintain the persona of James Bond as Fleming created him and the unique tone the author brought to his books, while incorporating my own literary trademarks: detailed research, fast pacing and surprise twists,” Deaver tells us, and we’re looking forward to see how he does it. On last year’s book tour for his novel Edge, he made a stop in Franklin, Tennessee, at the “Killer Nashville” mystery writers conference, where he was Guest of Honor. HMSS sent our good friend — and Deaver’s fellow lawyer — Mark Henderson to chat with the author about his thoughts on tackling the 007 saga. HMSS: George Bernard Shaw said that the English and Americans are two people separated by a common language. How intimidating is it for you to not only attempt to write an iconic character, but do so in a foreign idiom? JEFFERY DEAVER: It is a writer’s responsibility, as a novelist, to step into the minds of all his or her characters. Doing that is something that I happen to enjoy a lot. I am a rather empathetic person. I don’t mean that in a good sense, that I care about people necessarily. What I mean is that it is easy for me to take a look at somebody, if I know anything about their life, through either research or having lived these sixty years, and write about them with some credibility. I have written about elderly African American characters. I’ve written about teenagers. I’ve written about women. I’ve written about heroes. I’ve written about bad people. And I seem to have a facility, I won’t call it talent, but I have a facility with a little bit of diligence and research, to step into the mind of someone who is different from who I am. So that has not posed a challenge at all in creating the Bond character as we now know him, although he is British…technically Scottish and his mother was Swiss, but he is a British citizen. HMSS: Ian Fleming adjusted that over the years to accommodate for Sean Connery. JD: Right, and we didn’t find out until reading Bond’s obituary [in You Only Live Twice]. So writing about a modern British agent is not then particularly daunting. I did a great deal of research and spend a lot of time in Great Britain, so that doesn’t bother me at all. I will say one thing: I am extremely aware of the responsibility of creating a character who echoes in the time of his creation. He was as you know, and as readers of the books know, unique in thriller fiction. Especially when he came about, we had never seen anyone like that before. Of course, suave and sophisticated, and yet a bit existential. He said, and this is not an exact quote, that he lived life to the fullest because he expected to be dead by the mandatory retirement age from the SIS, which was in the 40’s. 45 I think. So I am creating a character that has those elements that Ian Fleming created, and yet I am bringing them into a story of my own. So, is it daunting? It is no more challenging than writing any other character of mine. I have set books in locations other than those I am indigenous to, through research, and one just has to roll up one’s sleeves and get the job done. HMSS: Fleming’s James Bond character was very much a product of World War II — forged in the crucible of a truly existential conflict. That’s not only where his fierce loyalty to England (and to M, who for Bond personifies England) comes from, but also his carpe diem attitude towards life. Your James Bond will have been born in 1980. What will have made him into the man we understand to be, and will recognize as, 007? JD:The question was posed to me once, how can you create a hero, and model him on an essential cold war hero, where the great bear of the Soviet Union was the great threat on the horizon? My response was, how many attacks were there by Russia on the soil of England or the United States during that period? And the answer is none…they did a lot of bad things, assassination and so forth, but nothing like 07/07, the bombing of London, nothing like the Madrid train bombing, nothing like our 9/11 attack and some of the crazy people in America who have tried to carry out other attacks. The threat wears a different guise, but it is nonetheless a genuine threat: good versus evil. My Bond will be a veteran of Afghanistan. He was a soldier over there. And so he is a patriot. He will do anything he needs to do for Queen and country. He believes in freedom and democracy. He believes that bad guys should not get away with bad things. So that was one of the easier transitions actually. He still has the same carpe diem attitude because he puts his life on the line every day. And in my book, without giving away details, there are situations where he is threatened, not only his life (I am not going to kill him off in the first third of the book), but could he sustain a tragic injury forever? I am not saying yes, I am not saying no, but certainly, he is willing to risk everything to make sure the Realm is defended. So, he is not going to miss a moment of life. 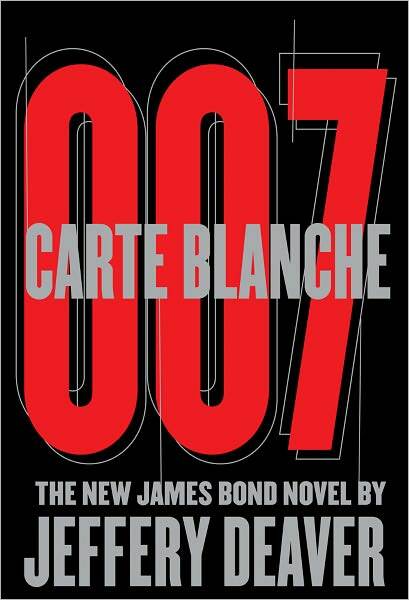 HMSS: Was it your choice to set the new Bond novel in the present day, and if so, why? JD:It was a mutual decision. When the Fleming Estate contacted me, I said that I would only want to do it if it were set in the present day, and they said we agree, that is what we were hoping for too. And the reason for that is the original books were not period pieces, of course. They were a product of their time, and Fleming, being a former journalist and intelligence agent, gave them the Cold War ambience. He was a great writer of manners, as they used to call it. So he would look at people in his books, or rather James Bond would, and draw conclusions about them. And they were right on about classes of society, men and women, attitudes of course reflecting the spirit of the time… not quite what it is today…and that is my Bond will be doing. Exactly the same thing. HMSS: Fleming had been a journalist prior to writing the Bond novels. He credited that experience with giving him attention to detail and pacing, not to mention being able to write with some dispatch. Does your experience as a journalist enhance your writing in a similar fashion, or do you find it gave you other skills that are important? Do you feel like being a former journalist will help you carry on the Bond tradition? JD: I had not thought about it, but I think it is probably true. I have a very meat and potatoes style, a journalistic style, as Fleming did. Although, he was capable of brilliant word-smithing. Go back and look at the beginning of On Her Majesty’s Secret Service, where he is seeing the woman who turns out to be his wife, Tracy. He observes her, in what is a masterful use of flashback. This scene where he is at the beach and Bond is reflecting on his life, as a child going to the beach, responding to when the sun is going down. It is brilliant writing. I aspire to do that, but I do know that my writing style matches the narrative of my books so I am pretty content that I will produce a very satisfying prose. HMSS: How much of a challenge is it to make the villains truly evil in the modern day, without making them look clichéd? JD: This book as every other book of mine will have an emotional content to it. A thriller does no good if you do not feel the book in your heart. And you do not feel it in your heart if the characters are cliched or cardboard. I have created sympathetic characters on the good side that have faults, and I have created villains who are to me unique. I have not ever seen any characters like the villains I have created, and yet that resonate with some truth. They will not be cliches. They will be horrific and yet there will be a reason why they are horrific. To put it in context, look at a character like Hannibel Lector who did horrific things, yet had an odd sympathy. So that is the sort of atmosphere I am trying to bring to my book. HMSS:Will any of Fleming’s recurring characters appear in your novel, and if so, which ones? JD: I don’t want to say too much, but I will say that the core of his allies are drawn from to populate the book. I can say there will be no bad guys from the past. They are entirely my creation. So, let’s just say that characters like M, Bill Tanner the chief of staff, Miss Moneypenny, of course will be back. HMSS:Fleming was influenced by reading the novels of Sapper and Buchan during his formative years. Besides Fleming, what authors would you say have had the most influence on your writing? JD: Going back into classic mysteries, Agatha Christie and Arthur Conan Doyle. Agatha Christie, by the way, was one of the masters of the twist. You don’t hear about her so much any more. The BBC had a Miss Marple series that was quite well done, and of course the Margaret Rutherford series which I saw when I was quite young. I sort of relate those to the Basil Rathbone Sherlock Holmes series. Rather broad Hollywood films for a larger appeal. The Holmes series with Jeremy Brett had a more subtle appeal. He was the Holmes for me. Anyway, those were major influences on me. As well as John le Carré, in terms of style, his writing is breathtaking. The intrigue within the intelligence community is fascinating. As far as hard-boiled fiction, I don’t read a lot of it. Mickey Spillane and so forth. Now international intrigue, Frederick Forsythe wrote one of my favorite books of all time, The Day of the Jackal. The original movie was excellent. And I also enjoyed Alistair MacLean. The books were quite lean. The late Elliot Kastner, who was a friend of mine, came up with the idea for Where Eagles Dare and talked MacLean into writing the screenplay, from which he later wrote a novel. 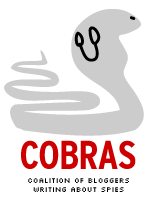 HMSS: You won the Ian Fleming Steel Dagger award from the British Crime Writer’s Association, for Garden of Beasts. The hero of that novel is a hitman for the mob who is sent by the United States government to kill a German who is in charge of organizing Nazi Germany’s re-armament. He is a hitman with a conscience and only kills bad guys. How will your James Bond compare to that character, Paul Schumann? JD: It is not a coincidence that Schumann was who he was. The 00’s were sanctioned to commit assassinations for the government in the Fleming novels, and I think there are two references to this never reconciled there. There was a question whether it was awarded first so he could go kill, or afterwards, indicating that he had killed in the line of duty. My Bond will stay true to that, but you have to be kind of careful, because the SIS publically and vocally disavow targeted killings. The CIA does not here: they fire drones. The SIS has disavowed it. Anyway, Paul Schumann was a hitman with a conscience and James Bond is the same thing. For instance, in one of the Bond short stories, “The Living Daylights,” where he is supposed to kill an assassin in Berlin, when she turns out she is a female, he shoots her in the hand rather than kill her. HMSS: What is your favorite James Bond movie, and why? JD: From Russia With Love, because it was most true to the book. It was almost a literal interpretation of the book. What I really liked was the subtlety involved. None of the broad Hollywood techniques. It had Robert Shaw as one of the best villains of all time. It encapsulated the gritty spirit of the Fleming novels. I know fans enjoy some of the more recent films, and I would say that my second favorite is the new Casino Royale . It was exactly what I had pictured a high budget production of a Bond movie as being. There were no overly clever special effects. Just a good espionage thriller. And Daniel Craig is fantastic. 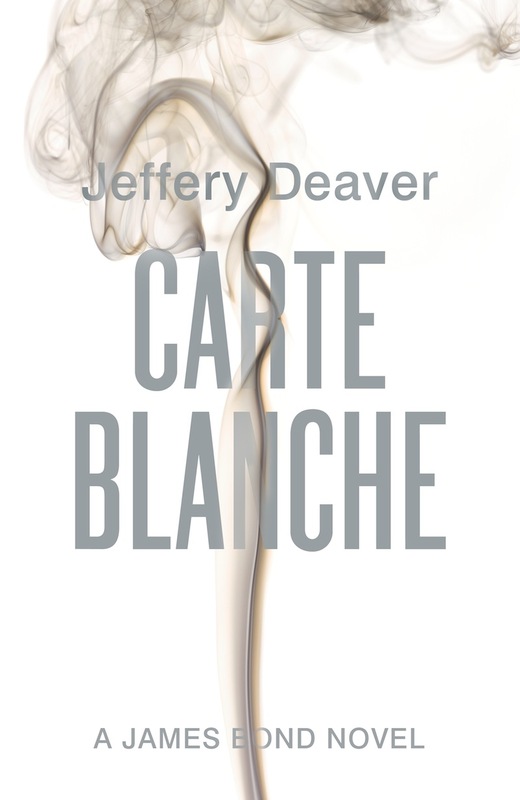 Carte Blanche will be published on May 26 in the UK by Hodder & Stoughton, and in the USA on June 14 by Simon & Shuster. Mr. Deaver’s official website is JeffreyDeaver.com. HMSS’s interviewer Mark Henderson can be E-mailed here.. Thanks to both gentlemen for a terrific interview! ‘On Her Majesty’s Secret Service’ is the “most true”. There’s no extrapolation or adjustment of the motivations of the characters, they are dead on. And it plays Bond’s tragic story out perfectly.